This activity presents a basic overview of the rules for calling 911 and practice in the procedure for calling 911 in the case of an emergency. 1. 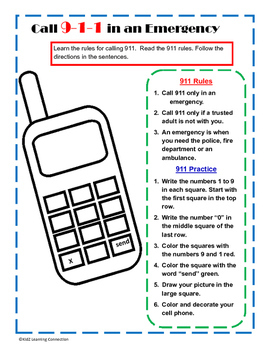 Ask students to share what they know about calling 911. 2. Lead a class discussion on 911 - what it is and the purpose. 3. Ask students to define an "emergency". Lead the discussion to what is an emergency and what isn't an emergency. 4. Review the 911 rules from the handout. 5. Use a cellphone to demonstrate how to call 911, showing the location of the keys and send button. 6. 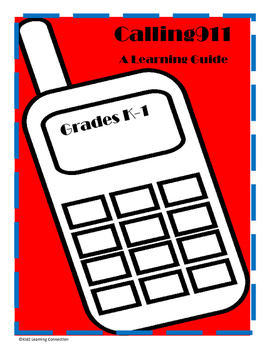 Ask students to complete the cell phone activity on the handout. This could also be a large group activity using the Smart Board.